Designed for off the field action, look sharp away from the rugby pitch with this Canterbury CCC Waimak Polo Shirt in White and Black. This short sleeved men's polo shirt is made from a cotton and polyester mix features a button up polo collar for a smart causal look that can be worn for a wide variety of occasions whether its out with your mates, work or even training. The Canterbury logo is embroidered on the chest too, ensuring there's no mistaking you're not a rugby fan. 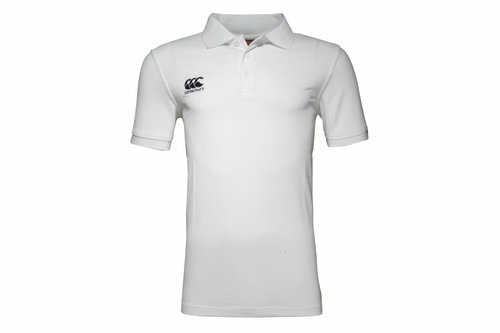 Made for fashion rather than training or play on the field, maintain your rugby fan credibility with this stylish Canterbury CCC Waimak Polo Shirt.